No cups, no brushes, no mess! 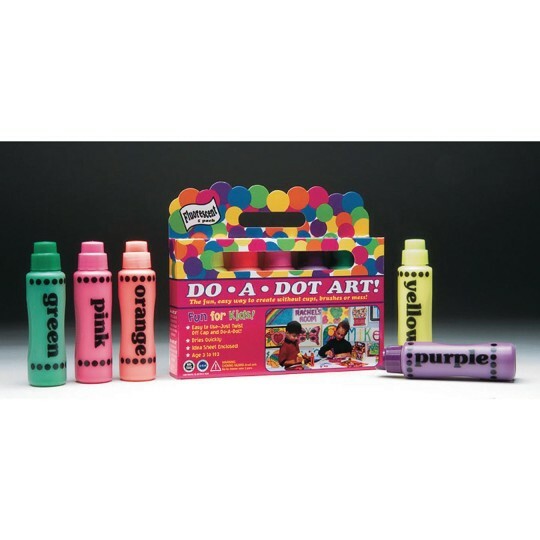 Great classroom markers for making "dotty" artwork or drawing big, bold lines. Spill-proof applicator bottle with sponge top. No cups, no brushes, no mess. Non-clog formula. Non-toxic and conforms to ASTM D-4236. Idea guide included. 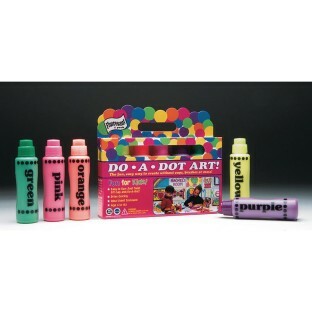 Pack includes fluorescent pink, yellow, orange, green and purple in 2-1/2 ounce bottles.